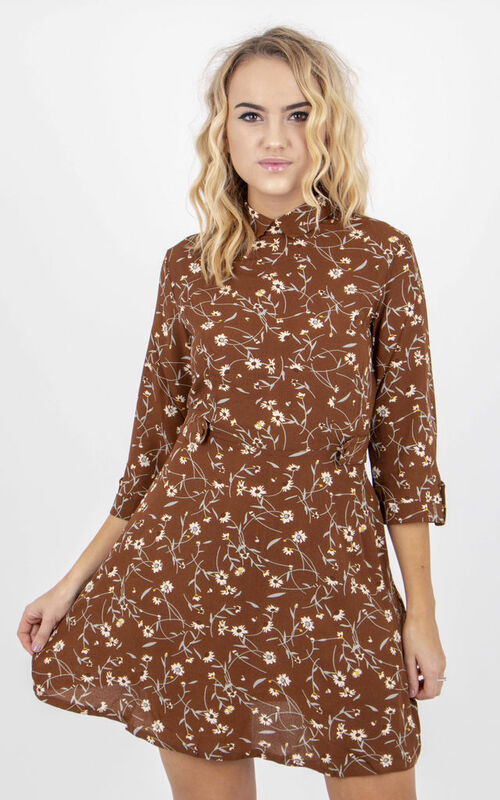 Brown floral print tea dress featuring trendy peter pan collar, rolled up sleeves and waist line detail. Model wears a UK 8/EU 36/US 4. Sleeves Length: 43 cm/ 16.9"